The past two years, I’ve celebrated my birthday by giving away gaming pdfs to people who follow Glimm’s Workshop on either twitter or Facebook. This year, I’m going to do something a little different. I’m interested in seeing what ideas you can come up with for minimal settings following the Ten Truths template. At the end of November, I’ll post my three favorites and then open up voting on those three to let readers rank them. 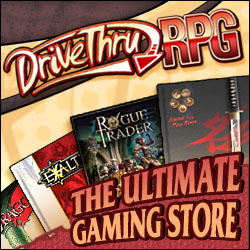 All three of the finalists will get DriveThruRPG gift certificates: The first place entry will get a $20, the second place will get $10, and the third place entry will get $5. A Ten Truths mini-setting should consist of 10 single-sentence statements about the world. As a rough guideline, there should be 2 statements about the setting’s cosmology, 2 about the continent, 2 about the region, and 4 local to where the campaign will start. If you think a different breakdown between the statements works better for your idea, feel free to use it. You can submit multiple mini-settings, but at most one submission per person will make it into the final three. This Contest is no longer open to new entries.